When regular people screw up in their jobs, they get fired. When board members at elite corporations screw up, they get "refreshed." That's the term Wells Fargo & Co. (WFC - Get Report) used in describing plans to replace four directors on a board that failed so drastically in its oversight of management's aggressive growth strategies that the bank has now been slapped by the Federal Reserve with sanctions that prohibit any growth in the bank's $2 trillion balance sheet, perhaps for the rest of the year. According to Moody's Investors Service, such an order is unprecedented in the Fed's regulation of financial firms. In other words, the Wells Fargo directors are likely getting the heave-ho. But the term "refreshment" makes it sound like there's a mudbath in the offing at a resort in Palm Springs, California, complete with a cucumber-infused spritzer. It's as if the directors will come back fresh, more ready than ever to hold management's feet to the fire. In reality they'll probably stay as far away from the company as possible to avoid reminding shareholders how they failed as fiduciaries. "To use the term refreshment is to suggest that this is just business as usual," Nell Minow, vice chair of consultant ValueEdge Advisors, which counsels big investors on corporate governance, said in a telephone interview. "But it's really a euphemism to make it sound like they're just fluffing up the pillows instead of pushing the rats off the sinking ship." The delicate verbiage offers an example of how corporate directors are barely held accountable for failing to adequately perform their duty of overseeing management on behalf of shareholders. And it's a real job, or at least a very good part-time job: At Wells Fargo, directors got paid in a range of $280,000 to $400,000 a year for attending just nine meetings in 2015, the last year before allegations emerged about the bank's overly aggressive sales practices. Executives, traders and bankers can be subject to "clawbacks" - essentially a revocation of prior years' pay - if their activities result in financial harm to their company. But that rarely happens with corporate directors. Wells Fargo continues to feel the pain. Instead, most directors of failed boards are allowed to retire or depart with little fanfare, the details buried in a press release. They get to bypass the nasty business of having to explain to friends and family that they were booted out. They were merely refreshed; the time had come for a little rest and relaxation, as it were. Wells Fargo's troubles exploded in 2016 when the San Francisco-based bank agreed to pay $185 million to settle allegations by the U.S. Consumer Financial Protection Bureau that it abused customers by opening millions of unauthorized accounts in their names to meet aggressive sales goals. Last year, the bank announced the "retirements" of five directors. But the company avoided a bigger board shakeup after a self-assessment facilitated by former Securities and Exchange Commission Chair Mary Jo White, now a lawyer in private practice, largely exonerated directors as having been kept in the dark about the extent of the issues. The bank had all but declared victory, highlighting its "strong actions" to improve corporate governance. Now, prodded by the Fed, there's another round of refreshment on the way. The term evolved in recent decades as corporate-governance advocates became aware of the tendency for long-serving directors to get too cozy with management. Refreshment was a concept used to describe the gentle art of encouraging directors to step down before they lost their independence. But it's taken to an extreme when board members are relieved of their duties due to poor performance, rather than serving reliably over the course of a long-in-the-tooth tenure. Take Wells Fargo's press release late Friday describing the recent Federal Reserve sanctions. The bank's new strategy for improving corporate governance calls for the "refreshment of an additional four directors" in 2018 after last year's retirements. 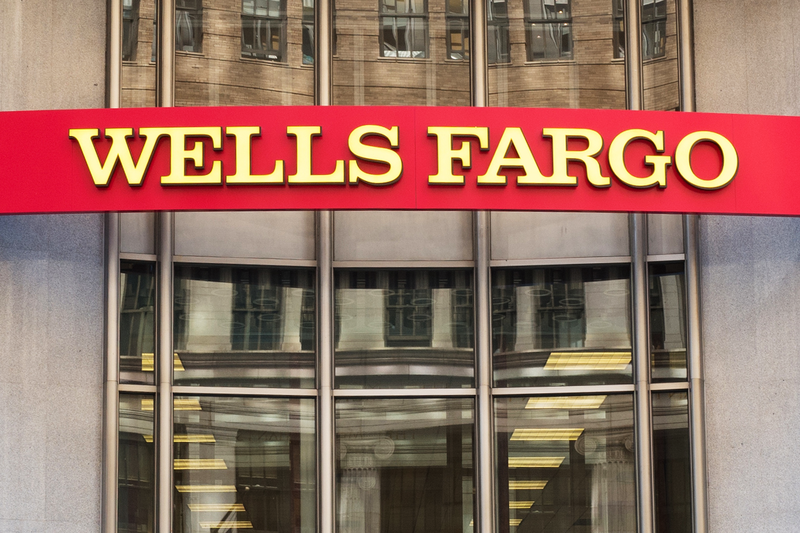 "We have made significant improvements over the past year to our governance," Wells Fargo CEO Tim Sloan said in the statement. The tone was markedly different from a press release issued by the Federal Reserve Board describing the same sanctions. The regulatory order "requires the firm to strengthen its governance and risk-management processes, including strengthening the oversight by its board of directors." "The firm's board of directors, during the period of compliance breakdowns, did not meet supervisory expectations," the Fed's press release stated. To be fair, Wells Fargo isn't alone in its circumlocution. In December 2016, Chipotle Mexican Grill Inc. (CMG - Get Report) announced plans to add four new directors as part of a "board refreshment initiative." But that shakeup came after the burrito chain was hounded to improve its corporate governance by a large shareholder, the hedge fund Pershing Square, headed by Bill Ackman. By the following May, when the company held its annual meeting, four prior-serving directors weren't on the shareholder ballot. Refreshed! A similar thing happened at Buffalo Wild Wings Inc. (BWLD , another restaurant chain. Under pressure from a large activist shareholder, the company announced the replacement of two directors as part of a "commitment to enhancing Buffalo Wild Wings' governance practices through board refreshment." When board members agree to serve, they often get indemnification clauses requiring the company to pick up the lawyer bills if any legal claims are brought against them, ValueEdge's Minow said. The assurance is usually valid as long as the board members themselves aren't culpable of any malfeasance. That might explain why companies dance around the issue of director departures; they don't want the legal liability that might come with acknowledging a board member was pushed out due to poor performance, she said. Charles Elson, who heads the University of Delaware's Weinberg Center for Corporate Governance, described refreshment as a "nice way of saying they're being removed." However it's termed, the effect is the same: The underperforming directors will be gone. Under the circumstances, the company is just trying to afford them a modicum of dignity for what's probably a "humiliating" professional experience, Elson said. "The Fed is effectively seeking their termination as directors," he said. "They're just calling it something else." --Anders Keitz contributed reporting to this story.